The following proposal was accepted to the 2018 ASA Annual Meeting in Chicago, IL. Panelists were selected by invitation and from an open CFP. I’m posting it here as an example of a successful ASA proposal. Science fiction (SF) has long been considered a means to imagine alternatives to present conditions, in a word, to speculate. While the genre has been used to narrate techno-scientific progress and project Euro-American values into the near or distant future, a countercurrent has deployed SF to imagine heterodox social possibilities. Donna Haraway calls for these initials to at once signal “science fiction, speculative fabulation, string figures, speculative feminism, science fact, so far” (Staying with the Trouble, Duke UP, 2017, p. 2). The proposed panel, “Science Fiction as Dissent, responds to Haraway’s call by casting the genre in starkly political terms, as a tactic by which to imagine alternatives to such dominating structures as capitalism, racism, patriarchy, heteronormativity, ableism, colonialism, and nationalism. It is not surprising that in an era characterized by the pressing need for dissent, SF has become an increasingly significant object of study. The proposed panel builds on a growing scholarship that has, at least since Darko Suvin’s Metamorphoses of Science Fiction (1979), argued SF’s importance to radical political thinking, especially through and beyond Marxist critiques of class. Recent work, however, by Aimee Bahng, Grace Dillon, Jane Donawerth, Madhu Dubey, Kara Keeling, Isiah Lavender III, Alexis Lothian, Cathryn Merla-Watson, B.V. Olguín, John Rieder, Lisa Yaszeck, and others has suggested the revolutionary capacities of SF to manifest dissent against a reactionary status quo, while emerging interest in the Anthropocene, environment, and climate change has given further immediacy to the study. Matt Tierney’s paper begins the panel with a study of feminist SF and specifically of Joanna Russ’s writing on/in the genre, in the process providing the theoretical impetus for thinking of SF—by ways of its being a negation of “things as they are”—as a genre of dissent, of speculation as a cognitive and aesthetic tool for resisting hegemonic orders of knowledge and being. Mondipa Mondal then historicizes a reactionary conservative movement in the SF community begun in 2013 to decry the growing sense of an SF literary field devoted to Leftist politics of equality. Ainehi Edoro turns to Nigerian writer Nnedi Okorafor’s novel Lagoon (2014) to think beyond the ecological problem of the human and speculate a non-hierarchical multispecies world attuned not to the politics of liberalism but assembly. Finally, Sean Guynes reads the writing of Ken Liu through the author’s own notion of “silkpunk,” an aesthetic category that rejects the techno-scientific progress narrative of SF through worldbuilding and literary techniques drawn from Chinese literature and art, while also refusing the Orientalist framework through which such a “punking” might be romantically understood. The panelists—an arrangement of emerging and established scholars; critics and an SF writer/editor—take SF to mean different things among them, and analyze a range of literary texts and political communities, but unite in understanding the genre as fundamentally speculative and, through that speculation, generically dispositioned to a pedagogy of dissent. Abstract: In a 1971 discussion of the New Wave of science fiction, Joanna Russ argues: “the only thing that makes many stories science-fiction is that they are not about things as they are.” Any story can be science fiction, she writes, so long as it concerns “things as they may be or might have been.” As Russ’s novels demonstrate, and as my paper argues, such a negation of the present is not only a characteristic of her contemporaries in the genre—indeed, it is the very axis of political dissent. My point of departure is Russ’s 1976 novel, We Who Are About To…, which puts this negation into play in three ways: first, as a meditation on sexual consent and compulsory reproduction; second, as a critical re-writing of a novel (Marion Zimmer Bradley’s 1972 book Darkover Landfall) on the same themes; and third, as a treatise on Luddism of the human body. By embracing contingent descriptions of what may be and what must not be, rather than prescriptions of what should be, Russ models revolutionary thinking for her moment and ours, and for any moment when revolution appears impossible. To tell of things that may be rather than things that are: this is to depart from a political present without imagining its alternatives in positive terms. To refuse any speculative world built from the compromised tools of our own time: this is to construct a literature and a politics that are relentlessly critical. In addition to Russ, I draw on Russ’s key interlocutor Samuel R. Delany; on anarcha-feminists Su Negrin and Ursula K. Le Guin; and on political theorists Langdon Winner and Jane Anna Gordon. I aim to shine light on a brief phase of science fiction that is as concerned with abstract and material forms of dissent as with its own generic transformations. Bio: Matt Tierney is Assistant Professor of English at The Pennsylvania State University and the author of What Lies Between: Void Aesthetics and Postwar Post-Politics (2015). He has published articles in Camera Obscura, Cultural Critique, and Image and Narrative, among other journals, and co-edited Medium and Mediation (2016), a special issue of Postmodern Culture. This paper is from his second book project, A World of Incomparables. Abstract: With this paper I offer an account of the history and development of the American-centered Western SFF community in order to locate the Sad Puppies, the more incendiary Rabid Puppies, and their visions of (reactionary) dissent against the what they perceive to be the unfairly liberal mainstream of the science fiction and fantasy (SFF) literary community. The Puppies are a conservative voting bloc founded in 2013 to sway the popular-vote Hugo Awards, SFF’s longest-running literary award, away from fiction espousing Left-leaning politics. They articulate their mission as a campaign against the infusion of too much politics (by which they mean Leftist social justice movements) and recruiting their members to fill Hugo ballots with works that support their notion of a supposedly non-political, but nonetheless (sometimes hyper)conservative SFF while also waging a year-long campaign of online hate speech against women, people of color, LGBT people, and other individuals of diversity in the SFF community. Writing in 2017, the Puppies seem like politics as usual, but are in fact something of an anomaly in the history of the SFF community as it stands within the larger institutional history of Western literary culture. Historicizing and contextualizing the Puppies, I provide a global frame to the contemporary political terrain of American SFF, especially the charged relationships between writer and fan portions of the community, on the one hand, and the publishing world and literary market on the other. I rely on perspectives from SFF communities in India and other non-Western literary cultures—more often than not disconnected from the American fandom and publishing contexts—and compare alternative ways the politics of SFF community and institutions have developed outside of the Western literary sphere. At the same time, I comment on the differing structural and political impulses of the science fiction and fantasy fiction genres themselves, which in the U.S. and other Western nations occupy the same generic and market space. I ultimately examine the point of rupture between the “hard” sciences and the “social” sciences, as well as the political inclinations of the individuals/groups who prioritize either of these, which seems to me the juncture at which a conservative group like the Sad Puppies arise. Bio: Monidipa Mondal (writing fiction as Mimi Mondal) is working towards an MFA in Creative Writing at Rutgers University–Camden. She is the 2015 Octavia E. Butler Memorial Scholar of the Clarion West Writers Workshop, and the 2013 Commonwealth Scholar in Publishing Studies at the University of Stirling, Scotland, UK. She is also a co-editor of Letters to Butler, forthcoming from Twelfth Planet Press. Her first collection of short stories, Other People, is scheduled to be published by Juggernaut Books, India. Abstract: In Emergent Ecologies, Eben Kirskey critiques imaginations of ecological futures that are “largely focused on doomsday scenarios.” Against the nihilism of apocalyptic thinking Kirksey suggests we invest our “imaginative labor” in the idea of “shared futures”—“interspecies collaborations” that involve “learning how to care for emergent assemblages” of life forms. The ecological future of the planet, he insists, is a question of “entangled coexistence” and not the disappearance of the human species. Nnedi Okorafor’s alien encounter novel, Lagoon (2014), presents a response to the ecological crisis that runs counter to this mainstream multispecies discourse. The novel imagines a world that survives not in spite of the end of humanity but because of the end of humanity. In the novel, Okorafor portrays a multispecies world in which life forms, from microbes to humans, exist in a leveled out, non-pyramidal relationship. A multispecies world is, for Okorafor, a fundamentally non-human world. It is a world that can only emerge from within the wreckage of the vast chain of being that secures the primacy of the human. I’m interested in Okorafor’s refusal of the human as the framework for a common multispecies world. What grounds the logic of this world where life and community thrive outside the ontological hierarchy and global configuration of power guaranteed by the sovereignty of human life? How does she shift the stakes in the ecological crisis from the survival of humanity to the survival of life on earth, where life is an expansive, heterogeneous assembly of beings, bodies, and objects that includes but is not anchored around the human? How does speculative ecologies of science fiction and fantasy allow her to posit this radical notion of a multispecies universe that involves not just unlearning ecological bad habits but, most importantly, unlearning the human? Bio: Ainehi Edoro is an Assistant Professor of English at Marquette University where she teaches global Anglophone literatures. She received her doctorate from Duke University and is the editor of the website Brittle Paper: An African Literary Experience. Abstract: As John Rieder has argued in Colonialism and the Emergence of Science Fiction, the popular genre of science fiction (SF), its investments in racial orderings, and its emphasis on techno-scientific progress, is a product of colonial modernity, among other things engaging in the orientalism of much of popular and high cultural production in the West. At the same time, SF authors have long manifested resistance to the very bases of the genre through literary movements and generic shifts, perhaps the most significant of which have been the New Wave of the 1960s and 1970s, with its emphasis on radical social change; cyberpunk of the 1980s and 1990s, a revolt against the human body; and Afrofuturism in the 21st century, which has been accompanied by a growth in anti-imperialist SF literary production. Turning specifically to the novels and short stories of SF/fantasy author and Chinese-English SF translator Ken Liu, this paper asks how an aesthetic movement might dismantle the dominant ethnic, racial, gender, and—structuring all of these—orientalist framework of American cultural and literary production. The movement in question, “silkpunk,” draws on the earlier dissenting SFnal energies of cyberpunk and the more recent, nostalgically complicated steampunk, referencing the radical political revolutionary desires embedded in “punk” and its referents. Following Jacques Rancière’s argument that aesthetics is politics, and drawing on Crispin Sartwell’s analysis of political aesthetics, I argue that silkpunk chips away at the Western techno-science that lies at the foundation of SF as a genre and replaces it with an aesthetics that spins the genre toward a new way of speculating and fantasizing, first by subverting Western SFF aesthetics with a hybridized Chinese-based one, and second by foreclosing the possibility of orientalizing the new aesthetics by rejecting the romantic structures of gender, sexuality, and race underlying Orientalsim. At its base, I claim, silkpunk signals a larger shift in SFF toward the decolonization of the genre(s) and its aesthetics. 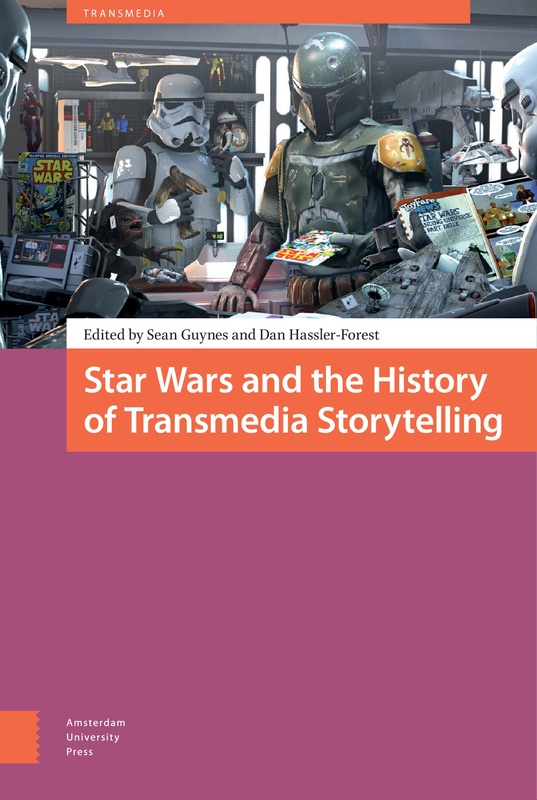 Bio: Sean Guynes is a Ph.D. student in the Department of English at Michigan State University, editorial assistant to the Journal of Popular Culture (2016-2017), co-editor with Dan Hassler-Forest of Star Wars and the History of Transmedia Storytelling (Amsterdam UP, 2017), and co-editor Martin Lund of the forthcoming collection Whiteness and the American Superhero.